Living in Miami in 1999, only one subject dominated all our local media and the national ones too. It was the story of a 5 year old boy called Elián González who had been miraculously rescued floating in a tire inner tube in the middle of the ocean after his Cuban mother had drowned trying to reach a new life here in the U.S. The discovery took on even greater significance as this was Thanksgiving Day, the very day when everybody was giving thanks for all their blessings. Sadly this happy event soon got highjacked by a myriad of different people and interest groups who were determined to make young Elián’s situation into a cause célèbre. In Miami his Uncle and cousin quickly moved in to claim custody and whisked the bewildered toddler off to their modest home in Little Havana a sort of Cuban enclave in Miami’s burbs. In Havana however, Elián’s father who was divorced from his mother, now suddenly discovered that his ex-wife had taken their son out of the country without even informing him, and so he wanted him back. However by then the story had already started to escalate out of control and instead of the boy’s future being the subject of a private discussion between these two sections of his family, it became a full-scale battle with each side involving their respective governments. 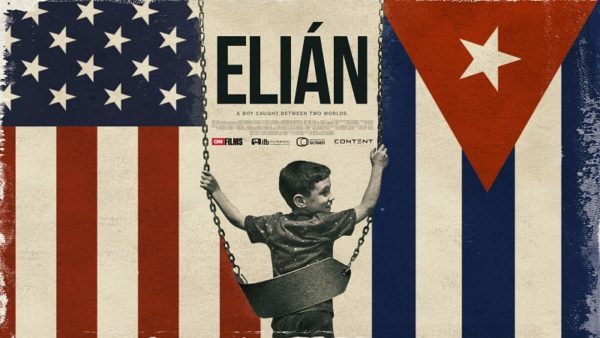 Now 18 years later, Elián himself tells his version of all those messy events to first time filmmakers Tim Golden, Ross McDonnell in a documentary executively produced by Oscar Winning director Alex Gibney. This excellent film makes for compelling viewing as it strives faithfully to recount every step of this multi-layered story as bi-partisan as possible. Elián, strikingly mature for his years, sits above the controvesy and is careful not to proportion blame for the appalling way that people fought over his future and simply used him as a pawn in their own game. We can however see now in hindsight from all the archival footage and from present-day interviews that nearly everyone involved was very self-absorbed and behaved badly. From his young cousin and self-appointed savior Marisleysis Gonzalez who in the end couldn’t pass by a stand of microphones without turning on her melodrama novella performance, or the ubiquitous fisherman Daryl Dourado who had first rescued Elián and for some odd reason was still around and holding the frightened kid (in a closet!) months later when the INS raided the Hialeah house. Why anyone thought that turning the Little Havana house into a 24/7 Circus constantly stalked out by the media and used as drop in center for opportunistic politicians like Ileana Ros-Lehtinen constantly popping in for photo opportunities or Diane Sawyer for another ‘exclusive’ interview, could ever constitute a ‘real life’ for a boy who now everybody was showering with expensive gifts, is hard to imagine. The irony of it all was that the one person who consistently maintained that a child’s place was with his parents, was Castro himself, which made it a hard pill to swallow for his die-hard detractors. The story has a happy end for Elián’ which is the most important thing , and also it is claimed that the whole incident which took on the effect of a cold-war between the US and Cuba did at least serve to make some of the more entrenched older Cuban-Americans rethink their posturing about the land of their birth, which cannot be a bad thing either. This completely absorbing documentary should not be missed.